Penelope Tredwell is the feisty thirteen-year-old orphan heiress of Victorian Britain's bestselling magazine, the Penny Dreadful. Her spine-chilling tales--concealed under the pen name Montgomery Finch--are gripping the public. One day she receives a letter from the governor of the Bedlam madhouse requesting Finch's help to investigate the asylum's strange goings-on. 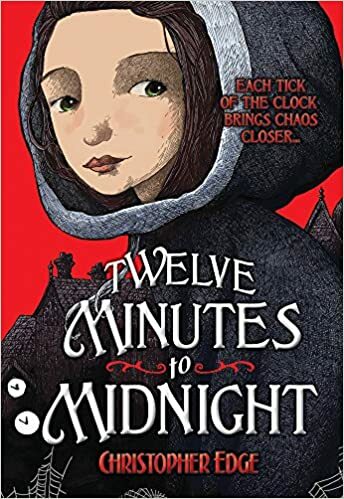 Every night at precisely twelve minutes to midnight, the inmates all begin feverishly writing-incoherent ramblings that Penelope quickly realizes are frightening visions of the century to come. But what is causing this phenomenon? In the first book of this smart new series, Penelope is drawn into a thrilling mystery more terrifying than anything she could ever imagine! “What have you done?” Penny tried to pull herself free from his clutches, but she was too weak to fight back. She could feel his grimy fingers tightening around her neck. “You’ve woken them all,” he snarled, his sour breath scouring her skin. “The whole blasted lot of them. They’re hammering fit to wake Morris himself. Make them stop.” Penny could feel the blood pounding in her brain. As Bradburn squeezed the air from her lungs, she had just enough breath to croak a single word in reply.